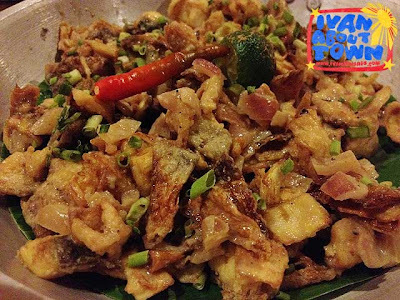 I particularly liked the Mula sa Puso which is puso ng saging (banana blossom) sisig. 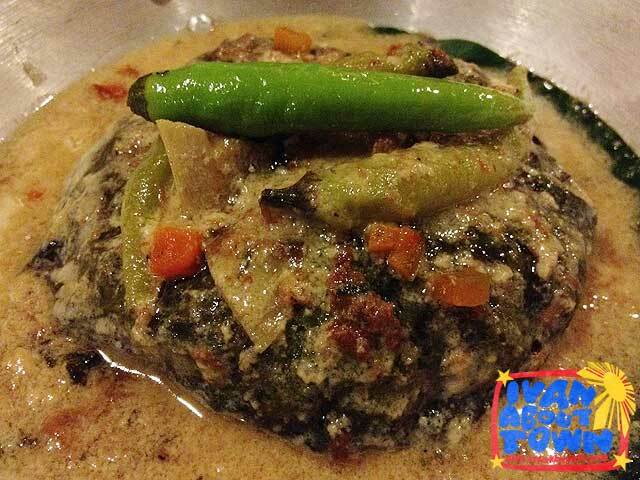 It's a healthy twist to the popular Kapampangan dish. Puso de Coco is banana blossom wrapped in gabi leaves and cooked in coconut milk. Tinapambutido is crispy-fried smoked fish patties topped with laing. 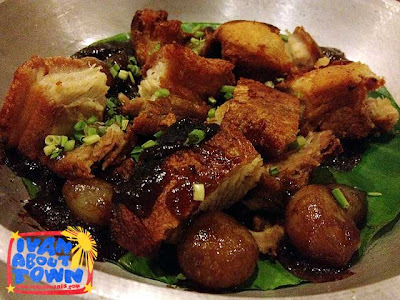 Then there's Bagoong Club's Christmas twist to the staple lechon: Liemponillo. It's Filipino style cuchinillo pork liempo with asado sauce and whole scallions. 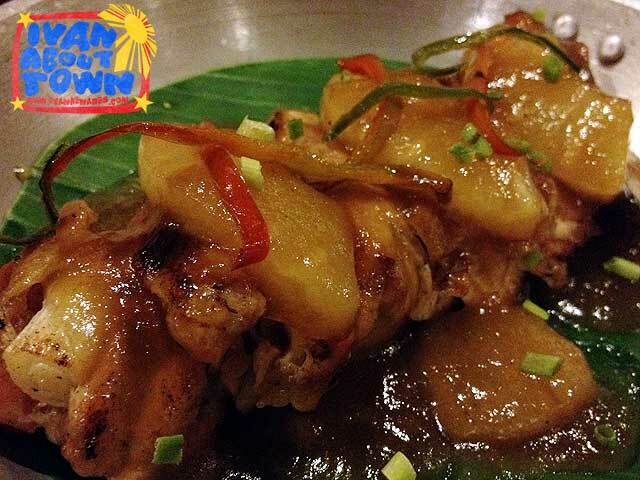 Krismanok is grilled glazed chicken rolled with ham and cheese, cooked in pineapple sauce. 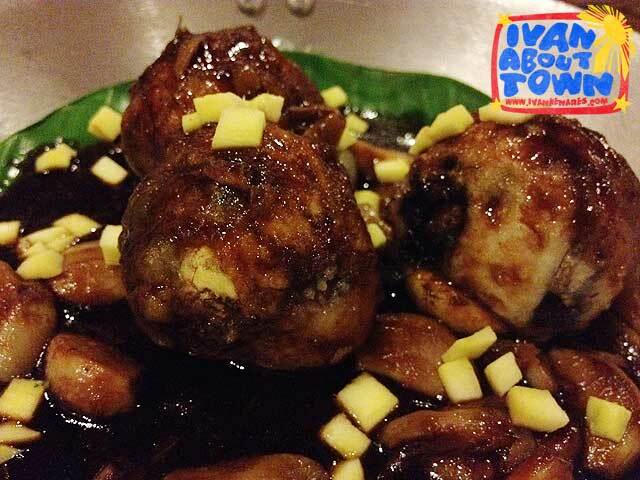 Balut Adobo is deep-fried balut cooked the adobo way with a generous serving of garlic. Finally, there's Sisig Paella. 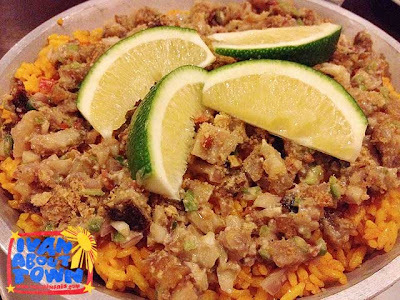 That's flavorful paella infused with delectable Pampanga pork sisig. 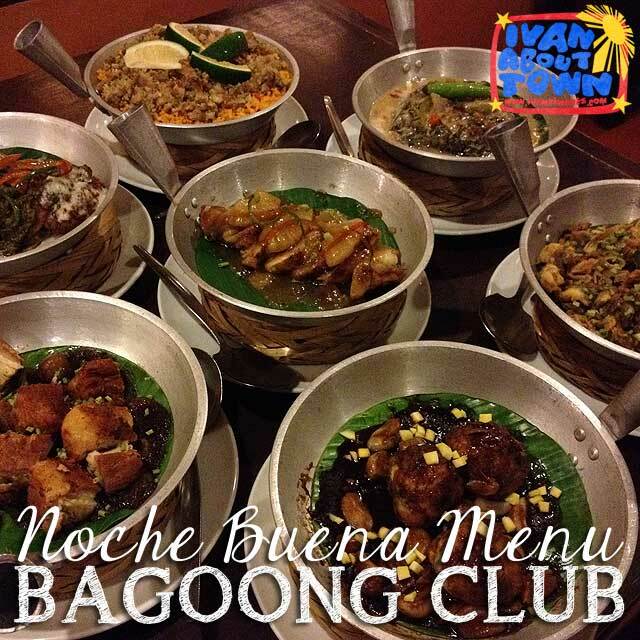 You have until the end of the month to catch this special menu at Bagoong Club! 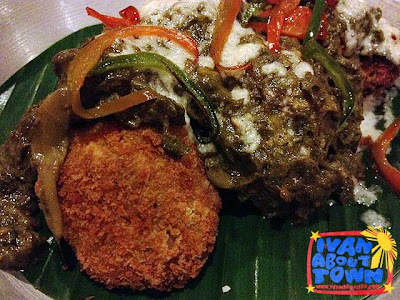 Grabi, sarap naman nyan..mouthwatering..pero merun bang recipe nung sisig paella? sarap siguro non. Drrrrooooooooooool! Oh my God! All the dishes are so yummy! I love Filipino food so much. I hope I can get Metrodeal coupon for Bagoong Club soon! This offering has been extended until January 31, 2013 due to numerous requests and as way of saying "Thank You" on Bagoong Club's anniversary month.